A powerful, 2-stage snow thrower from Husqvarna. Powered by a Briggs & Stratton 205 cc Snow Series MAX engine, the 5524ST has been designed from the ground up to cope with the most extreme conditions. Superb traction is ensured, thanks to the sturdy tyres and differential lock, which drives both wheels. Variable drive speed in forward and reverse is controlled simply using a lever on the console, allowing for smooth and simple operation, while the direction of the snow ejection can also be easily changed using a lever. 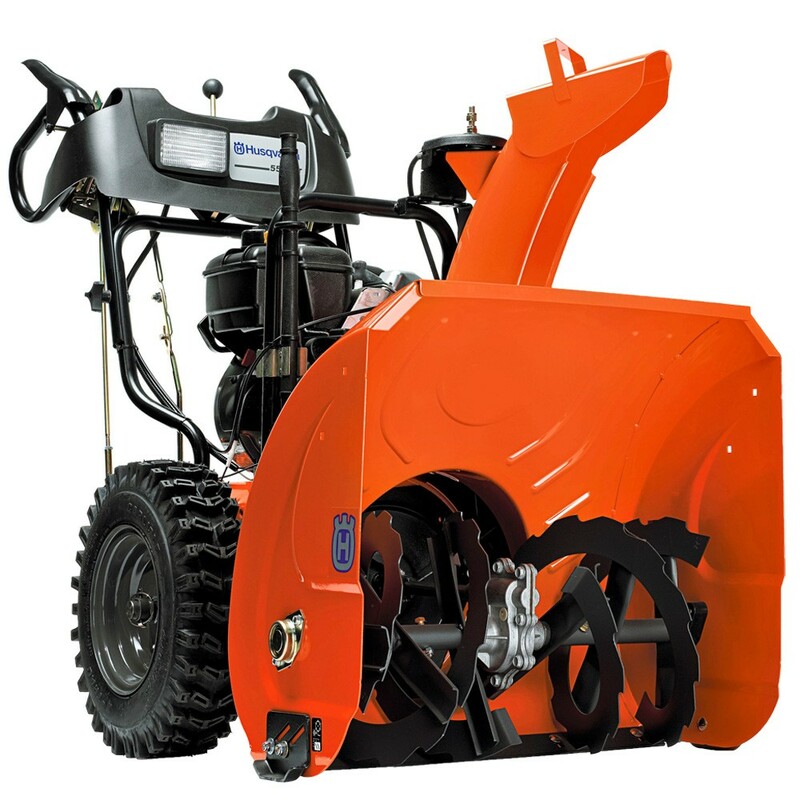 With a 61 cm working width and an intake height of 58.5 cm, this is a capable and powerful snow thrower. Being a two-stage machine, the snow is first handled by the auger, before being thrown out using a fan and directed to where you want it. For working even in the most difficult conditions, a powerful halogen headlight will ensure you can finish your job.